The morning train to Lusaka was bursting with sound and color. People were crammed four across on benches normally meant for two. Boxes and bags were everywhere, as well as several caged chickens who were squawking out their accompaniment to the loud music blaring from the tinny speakers. Amazing Grace was playing. How appropriate, the grandmother thought – except perhaps for the chickens, she added to herself with a smile. It was Christmas morning and the train was packed with people traveling to be with their families for the Christmas holiday. Everyone was so happy. The young mother hadn’t seemed very joyful, though. The elderly lady looked down at the tiny baby in her arms, and then looked anxiously out the window again. The mother should have been back by now. She was just a girl, really. And she hadn’t looked well at all. Too frail. Weak even. And she had had such an odd, sad look in her eyes as she handed over her baby. She had been traveling for hours and hadn’t brought any food with her, she had said. She wanted to go buy some bread and fruit from one of the vendors on the platform. But where was she? The last of the passengers were climbing back onto the train. The grandmother could hear the conductor shouting their eminent departure. Where was the mother? In a panic, the grandmother realized that the train was starting to move. We don’t know what the young girl’s story was. It is likely that she was ill and knew that she couldn’t care for her infant son. But she had hope that he could find a better life, and so left him in the care of a kindly grandmother. The young girl chose well. The elderly lady brought the baby to the authorities in Lusaka, who brought him to the the rescue clinic, a place of refuge for high risk infants. Most of our babies come to us as AIDS orphans, their sick mothers having died soon after giving birth. 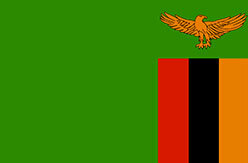 A little girl and boy were born on July 29, 2005 in Lusaka , Zambia . The mother named them Mary and Joseph before succumbing to a brain tumor. The tiny twins were left motherless and would have died - like so many other abandoned newborns in Africa - had they not been taken in by our partners. After several months of tender care, you can see from the photo that Mary and Joseph are now healthy, happy babies. They have become favorites of the staff, who report that the twins are always holding hands! Now that Mary and Joseph are stable, the rescue clinic will help them transition to a new home - with family members if possible, or with a loving foster home. Ricky's mother died from AIDS soon after he was born. When he was brought to the rescue center, he was severely underdeveloped and lethargic from malnutrition. It was feared that Ricky would also test positive for HIV, and the staff held out little hope for his survival. A retired physical therapist from the US visited the Lusaka Clinic and began to work with some of the babies, including Ricky. The therapist introduced simple exercises and play routines, and the results were nothing short of miraculous. Ricky gained head control, trunk control, gross grasp and a wonderful smile complete with a heart-melting giggle. Ricky is now around twenty months old and is not only walking but running around the nursery. The staff reports that he is a very playful, happy boy. Also miraculously, Ricky has tested negative for HIV, and his future - which once seemed so hopeless - is now bright with hope and promise. 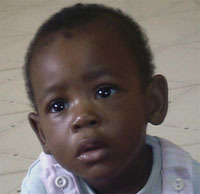 Our partners have begun to look for a foster family who will love and care for him as he grows up. The staff later learned that all of the women in Ricky's home village had died - a shockingly common occurrence in sub-Saharan Africa in this time of AIDS. In the face of the daily holocaust wrought by this terrible disease, every small life saved - like Ricky's - represents a major victory. The year before the clinic opened there were only two legal adoptions in all of Zambia - even though there was a full file of prospective adoptive parents waiting for babies. Most Zambian babies needing adoptive homes would die before they could be placed with families who wanted them. 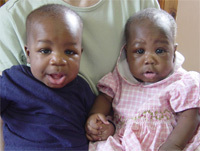 The clinic was established to rescue these at-risk infants. Like the first baby Moses who was saved by the kindness of strangers, hundreds of Zambian babies have been rescued from death and given new life with Zambian families who will love and care for them. Our partners provide 24-hour nursing care to the tiniest of premature infants, helping their little bodies stabilize before placing them into extended family or adoptive homes. 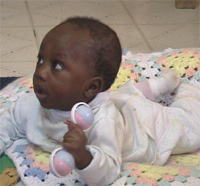 The baby rescue center has single-highhandedly increased the rate of adoptions in Zambia by over 2,400%! 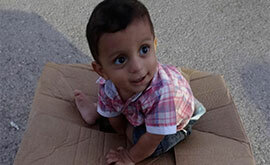 For baby Modern's sake, and thousands of other babies like him, they are aiming even higher. This Zambian rescue center has been recognized by the United Nations as a Best Practice Model for its effective work with high risk infants. Mrs. Graca Machel Mandela, wife of Nelson Mandela, had this to say after visiting the project: "I have never seen anything like the rescue center in all of Africa ." Over 2,800 Zambian children-the majority orphaned by AIDS-are presently receiving education through the Alliance's classrooms. Through its Basket Project, the Alliance helps single mothers who have lost their husbands to HIV/AIDS. The beautiful baskets these women make are used to raise funds so that the women can support themselves and their children. The Alliance also provides non-interest bearing small business loans ("micro-enterprise loans") to family members who would like to care for their dead relation's baby themselves but do not have the economic means to do so. Alliance staff work with the family members to provide support and training. As loans are paid back, the money is loaned out to other qualified applicants. Adopt a Crib: It costs approximately $8 a day to provide for one of these critical care babies. By "adopting a crib", you can participate in the rescue of each baby that is cared for in that crib until he or she is strong enough to be adopted by a Zambian family. 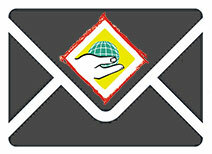 You will receive a photo, background story and prayer requests for each baby that you help save. Milk & Medicine Program: Our partners also helps poor families care for their own children by providing infant formula, medicine and monthly check-ups. Cost: approximately $15 per child per month. Facility Care: Our partner rescue clinic needs help with some critical maintenance and repair for their facilities, including some major roof repairs to keep the babies dry during the rainy season. Cost: $1,800. They also need new water heaters. Cost: $3,000.